For many years, Mongolia has been near the top of my travel wish list. So, needless to say, I was very excited when my travel plans allowed me to stop in the country for about two weeks. Having researched the country, I knew that I wanted to get out into the countryside during my time there. While the capital, Ulaanbaatar, has a somewhat undeserved reputation as being a terrible travel destination, it clearly isn’t a place where you would want to spend two weeks of travel. 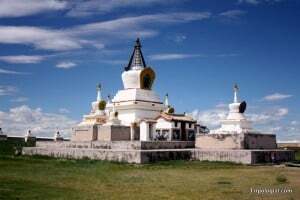 While I generally do not like taking tours at all, traveling through Mongolia independently is quite difficult, so my wife and I decided that we would take a tour through one of the many tour operators in the country. Taking to the internet, I assumed that I would find many reviews detailing trips, and what people thought of their operator. Strangely enough, though, I found the information on the internet lacking. However, with the little information that I was able to find, I was able to figure out a few companies that seemed reliable. 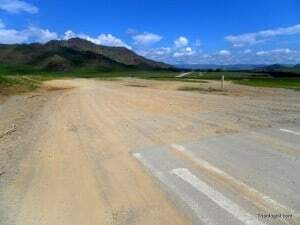 After emailing back and forth with a few, we decided to take a nine-day tour through central Mongolia with Golden Gobi. One of the many pagodas that dot Erdene Zuu Monastery in Mongolia. The pre-trip communication with Golden Gobi was good. If you book before you get to Mongolia, be aware that they only accept payments via wire transfer. This process can be difficult or impossible if you are already traveling and generally incurs extra charges. When we arrived, we were picked up from the train station as promised. We found the accommodation to be nice and in a good location. My one complaint is that they only have one hot water shower for around 30 beds. Adding more hot water showers would be a nice touch in a city that isn’t usually warm. It would have also been nice to have a more available staff. While there was always someone at the front desk, there were often issues when we wanted to ask a question about the city or our tour because four or five other people were waiting in line. It would have been nice to have a second person at the desk to handle the glut of questions and issues. Our tour started out well. My wife and I were joined by a Japanese man for the first three days, and we made our way out of the city to Khustai National Park. In this park, they have introduced some of the Przewalski’s horses, the world’s last truly wild horse. As we made our way into the mountains, we climbed high up a hill, finally spotting a small herd of horses down below. Our first day was surely a highlight of the trip. Another highlight of the trip was our time at White Lake. We stayed in a ger guesthouse on the lakeside for two nights and really enjoyed our time there. The rest of our time in Mongolia consisted of staying in gers, visiting several lakes, riding camels and horses, and visiting temples. Overall, we saw a lot of beautiful scenery, and the itinerary that was laid out initially was followed very well. There were, however, a few issues that I had with our tour. Our trip entailed a lot of off-road driving, which was difficult for our small Hyundai van to handle. Our guide was a good cook, but the quality of the food could have been improved. Every morning we would have bread with jelly, for lunch we would have pasta or rice with vegetables, and for dinner we would have vegetable soup. I never imagined that I would have left Mongolia wanting more meat, but I found the lack of meat in the meals surprising. After all, my wife and I were paying nearly $100 per person a day for the tour. We both felt that the food that was purchased was chosen for price, not quality, and that the food got very repetitive by the end of the trip. I will say, though, that there was always plenty of food, and we never went hungry. Another issue we had was with the quality of the van that we were in. While most groups that we saw were put in either heavy duty Russian vans or the occasional SUV, we were in a small Hyundai van. While the van was in good condition, and the driver was certainly capable, the road conditions demanded a better quality vehicle. During our trip, we even had to adjust our schedule and be pulled across a stream by one of the Russian vans due to our vehicles inability to handle the terrain. The vehicle also had issues with the bumpiness of the Mongolia “roads”, and we were often tossed around in the backseat until we were almost sick. Overall, my wife and I really enjoyed our tour. We feel that we were given everything promised to us, but nothing more. It seemed that they attempted to cut costs whenever possible, which effected the tour negatively. Because of the issues with our stay, I can’t say that I recommend going on a tour with Golden Gobi. That being said, I wouldn’t recommend that you avoid them. 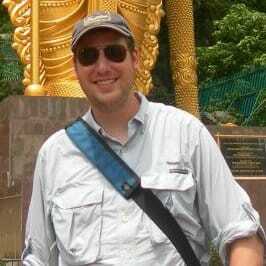 Instead, my recommendation would be to research what you want to do before you get to Ulaanbaatar, and then give yourself a day or two in the city before your tour to talk to several tour operators. If you decide to go with Golden Gobi, you don’t have to worry about getting ripped off or not getting what you are promised; just don’t expect a cent more. this is another eye opener for me and like you do, Mongolia is one of the lists I have on for my future travels. I will take this advises you have here by heart. They are useful. either way, I can’t wait to go myself! 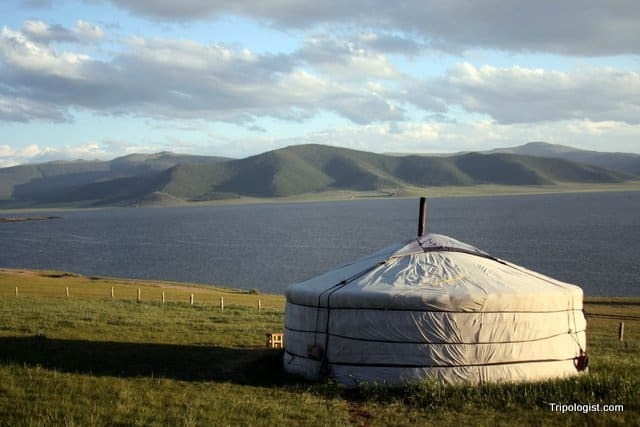 I’m not sure what the Couchsurfing community looks like in Mongolia, but I would imagine that it would be hard to find couch surfers outside of one or two major cities since most of the nomads don’t have internet access. Traveling through Mongolia independently certainly isn’t impossible, but with the lack of public transportation, very few paved roads, and ever fewer road signs, it would be quite difficult to see the countryside without a local driver.